Once you get into The Division 2’s endgame, you’ll need to pay close attention to not only your weapon configurations, but your skills as well. You can use Skill Mods to boost the power of your Skills, changing everything from duration to damage output. You’ll likely have also noticed the FX Slot. This is leaving many players puzzled, as FX Slot Mods are extremely rare in the game. To help shed some light on these mysterious items, we’ve put together this The Division 2 FX Slots Guide. We’ll list all of the FX Slots we’ve found in The Division 2 so far, and also let you know how to get FX Slot Mods in The Division 2. For more on The Division 2, be sure to check out our The Division 2 Guides Hub. It’s where you’ll find all of our The Division 2 Guides content, from a look at where to find Gear Dyes, to a look at how Exotic Weapons work. Will More FX Mods be Added to The Division 2? If you’ve been poking around in the Skills menus of The Division 2, you may have noticed the FX Slot on each of your gadgets. Annoyingly, these FX Mods seem to be extremely rare, as there are only a couple of ways to get them currently. Let’s take a look. Unfortunately, the only way to get FX Slot Mods in The Division 2 is by purchasing special editions of the game. The Ultimate Edition, for example, lists a ‘Special Skill Effect’. 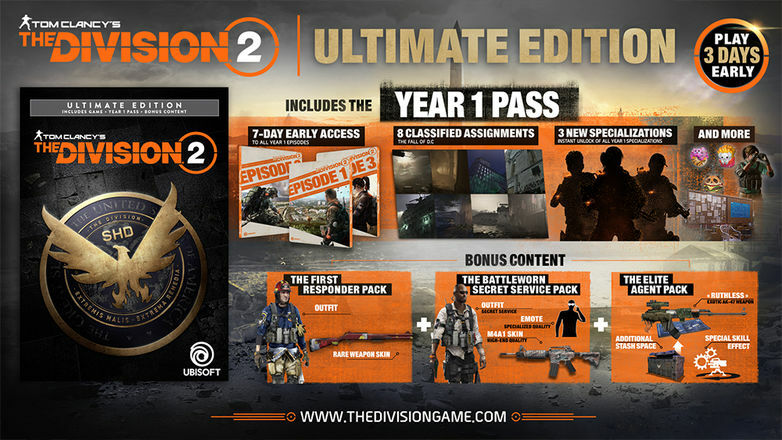 Other special versions of The Division 2 list similar bonuses. We’ve played around 100 hours of The Division 2, and haven’t once come across one of these FX Mods, meaning they likely do not exist as random drops in the game, at least not yet. Similarly, there have not been any reports of players receiving FX Mods by other means, so it looks like for now at least, you’ll need to have bought the special edition. Roman Candle - adds a firework effect to the skill it is applied to. Sparkler - sparkler light effect on each skill it is applied to. It would be strange for the devs working on The Division 2 to designate a whole level of customization to two effects only purchasable as part of a special edition. As such, we’re betting that more will be added later down the line, either included in event caches, or added to the store to be purchased with Premium Credits.